Over the years trappers have sought to improve their traps so they would be both humane and capture-efficient. Trap performance can only be verified through a comprehensive scientific process to evaluate all components of a trapping system. Trap performance can only be verified through a comprehensive scientific process to evaluate all components of a trapping system. Canada’s trap research, testing and development program, led by the Fur Institute of Canada, is the most advanced in the world. As a result, the Institute has gained recognized expertise and a comprehensive database on animal welfare related to trapping systems. As the Institute’s research partner, the Alberta Innovates Technology Futures provides the scientists and laboratory controls needed to test trap performance and to collect the data necessary to ensure their compliance with the Agreement on International Humane Trapping Standards (AIHTS). The Institute’s Vegreville Alberta research facility was completed in 1984 at a cost of over $l million. It was specifically designed to enable teams of scientists, engineers, statisticians and technicians to scientifically measure and improve the welfare of animals related to trapping and to advance trap testing methods. All animals housed in the research facility for the testing of traps are cared for and used in accordance with the requirements of the Canadian Council on Animal Care that oversees the use of animals in research and testing. Results from this facility are being used internationally by manufacturers, government regulators, wildlife scientists and trappers. The long-term objective of the Fur Institute of Canada’s trap research program has always been to provide efficient, humane and safe tools to the trapper. Equally important is the development of advanced testing methods. In 1983, the Fur Institute of Canada initiated a comprehensive research and development program to ensure that Canadian trapping methods are as humane as current technology allows while still being efficient and safe for the trapper. Through its research efforts in partnership with the Alberta Research Council , the Institute has also addressed concerns for improvements to animal welfare, the efficiency of animal capture devices and the conservation of wildlife populations. The Institute’s program has brought together traditional knowledge, science and new technologies in a comprehensive approach to trap improvement. The Institute’s research partner, the Alberta Research Council has a team of specialists providing the knowledge and infrastructure needed to meet the requirements of the research program and ensure scientific credibility. As a result of this partnership, it is possible to measure progress and continue to innovate as new technologies are developed. The Institute’s program places Canada as the world leader in trap research. An objective of the Fur Institute of Canada and Alberta Innovates Technology Futures is to develop ways to significantly reduce the need for using live animals in tests for evaluating traps. While all research by the Fur Institute of Canada and the Alberta Research Council is conducted in accordance with the Canadian Council on Animal Care laboratory standards governing the care and treatment of animals used in research, new methods are reducing the use of live animals in trap testing. Advancements in computer technologies and the accumulation of scientific data through live-animal trap tests conducted at the Vegreville facility has made it possible to develop and use Computer Simulation Models (CSM). The Institute, in partnership with the Alberta Innovates Technology Futures, now uses computer programs that replicate the interaction of a specific species with a computer-drawn trap. By loading all of the data acquired in past research into a specially designed program, CSM enables researchers to “test” a computer-generated trap on a computer-generated animal, which minimizes the number of live animals required for the research. These models are now being used to rate trapping devices. Now nearly 90% of all trap testing at the facility is done using computer simulations. Development of computer simulation models for remaining species is ongoing. The use of CSM has eliminated the need to capture, transport, house and use over 1,300 furbearing animals for live-animal trap tests, while saving some $4 million in associated costs. In addition, developments in infrared photography, movement sensors and video cameras provide the technology needed to record activity at the actual trap location. This technology allows researchers to observe the behaviour of target animals as they approach the trap set and provides information on how to avoid the capture of non-target animals. As a result, the Institute has developed an unparalleled database and expertise on trapping and furbearing animals. In 1997, Canada, Russia and the European Union committed to an Agreement on International Humane Trapping Standards (AIHTS ), which sets out trap performance requirements for 19 wild animal species that are trapped for any reason including for pest and disease control. Twelve of these species are found in Canada. Scientific protocols for humane trapping standards were established based on the Fur Institute’s trap research. 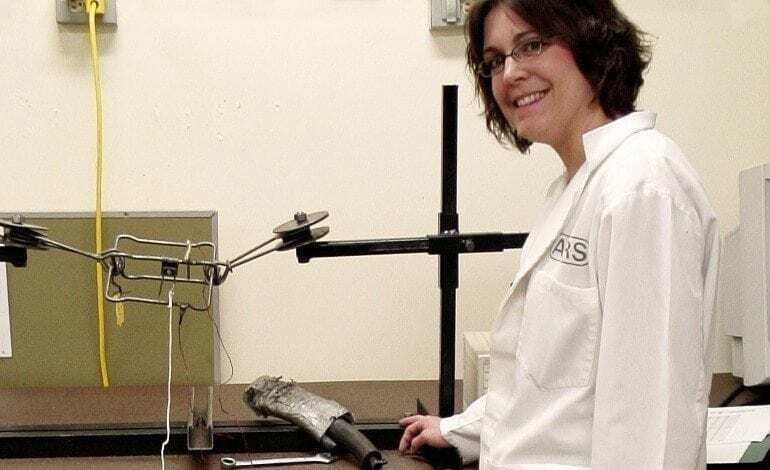 The trap research program is currently focused on evaluating trapping devices, using ISO (International Organization for Standardization) testing procedures to determine whether they meet the requirements of the AIHTS. As of 2015, 500 types of traps have been evaluated with 193 found to meet the requirements of the AIHTS. The Institute’s trap research program has provided expertise and access to technological information to numerous countries, including the United Kingdom, the United States, France, Sweden, Germany, Holland, Belgium, Argentina, New Zealand, Norway, Finland, Chile and Russia. The Government of Canada, the International Fur Federation, other fur industry sectors, and the provincial and territorial governments support the Institute’s trap research and testing activities. The Institute regularly publishes and updates a list of the traps that have been certified by the provincial and territorial governments as fulfilling the terms of the AIHTS. The list is kept up-to-date on the FIC website. The Fur Institute of Canada will continue to explore the potential for developing an international network for the coordination of research and testing of trapping systems.